Now published by Hodder Education: ‘Migrants to Britain c1250 to present’ – official OCR Schools History Project textbook for GCSE, by Dan Lyndon and Martin Spafford. 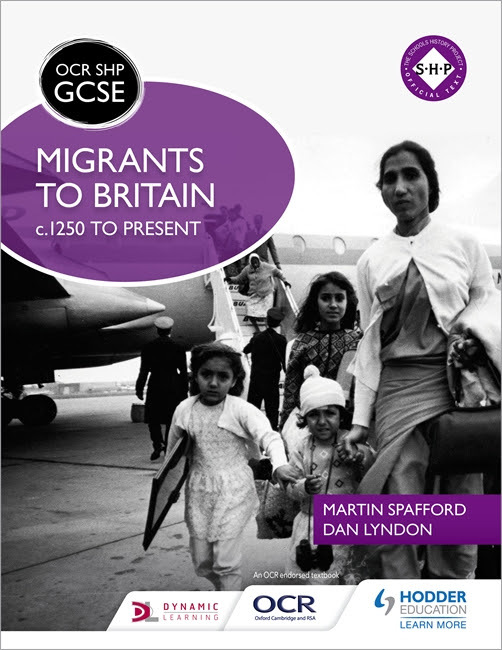 Also now published by Hodder Education: ‘Migration’ – official OCR Schools History Project textbook for GCSE, by Dan Lyndon, Martin Spafford, Marika Sherwood and Hakim Adi. 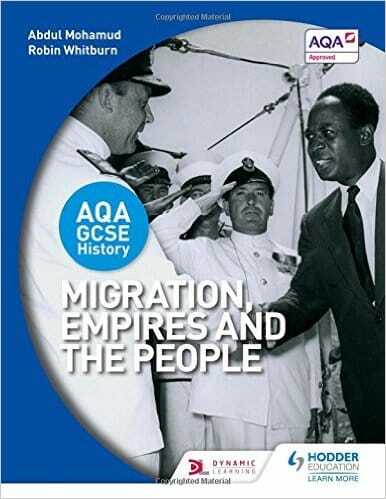 AQA GCSE History: Migration, Empires and the People by Abdul Mohamud and Robin Whitburn.